Today I was stopped at a set of traffic lights and spotted dark clouds. I examined them a little closer this time – seeing elements in the clouds like I’ve been seeing in the watercolour experiments I’ve been making. 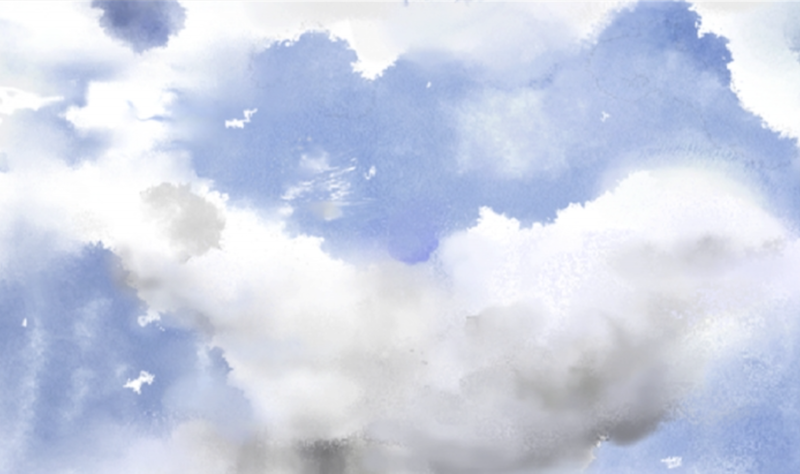 I thought I’d try and dabble in creating clouds in watercolour. It’s fascinating because now that I’ve found this medium I’m tending to see everything as a potential watercolour painting .. even more so than ever before especially after learning to use mediums like oil and acrylics at university .. those clouds just looked exactly like they were made using watercolour! Then I looked down at my camouflage pants and again saw a watercolour painting. This may be the start of something inspiring [or obsessive! ].